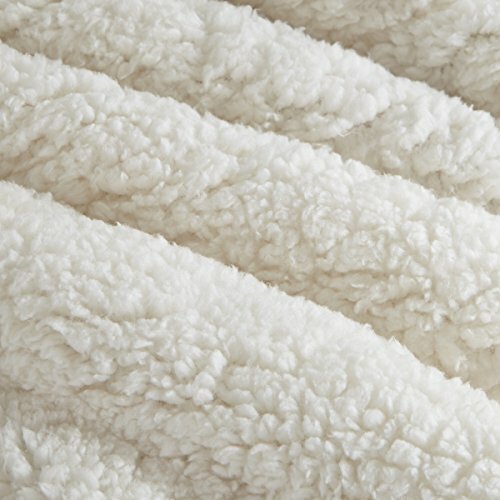 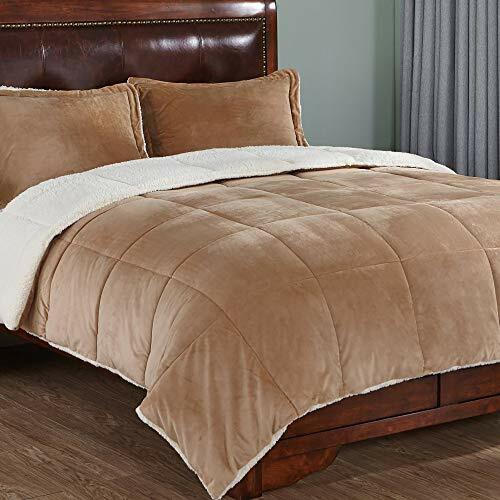 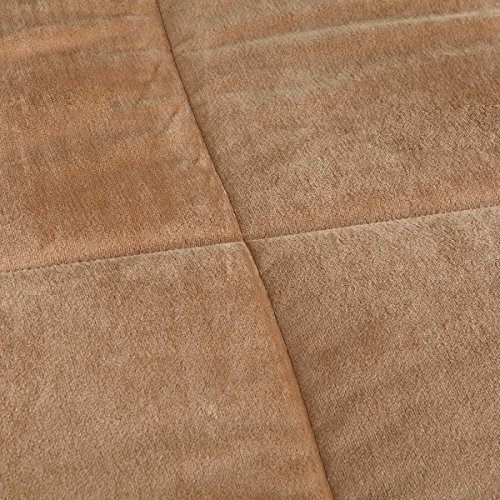 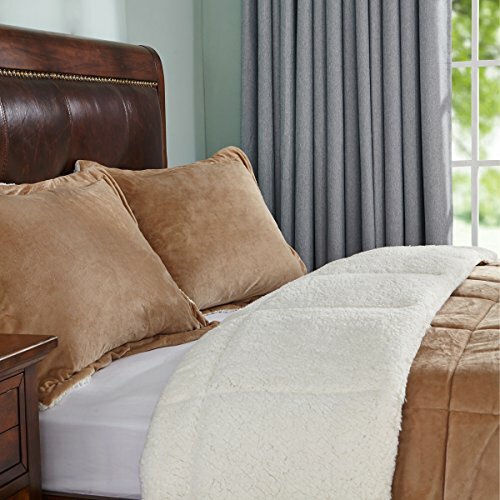 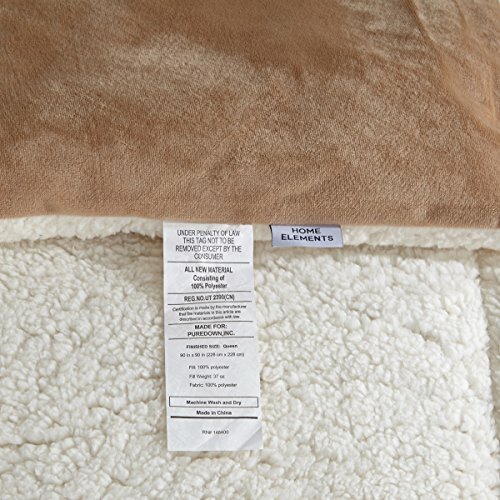 FABRIC – This blanket is made with premium quality micro-plush in the front and patched up with ultra soft Sherpa fur lining for ultra warmth during cold weather. 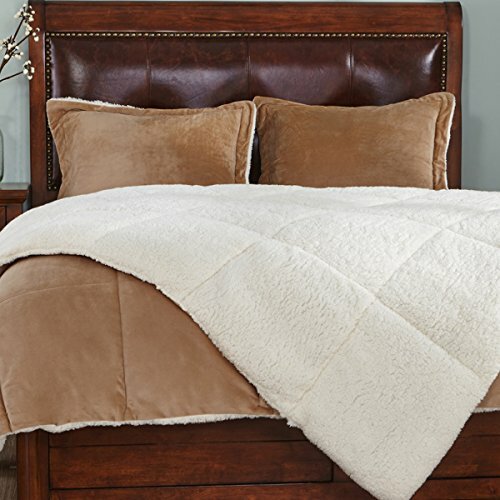 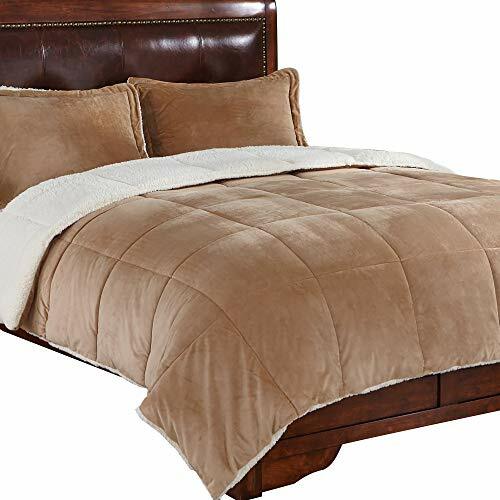 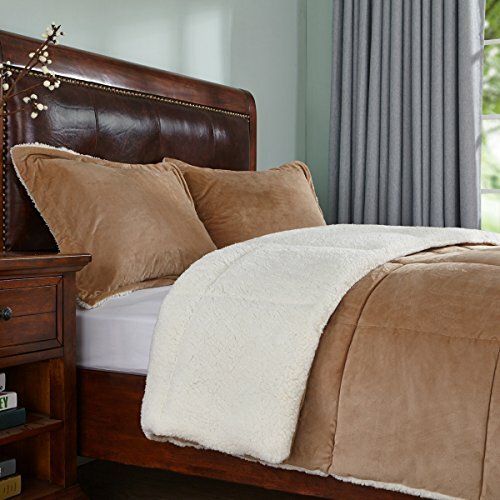 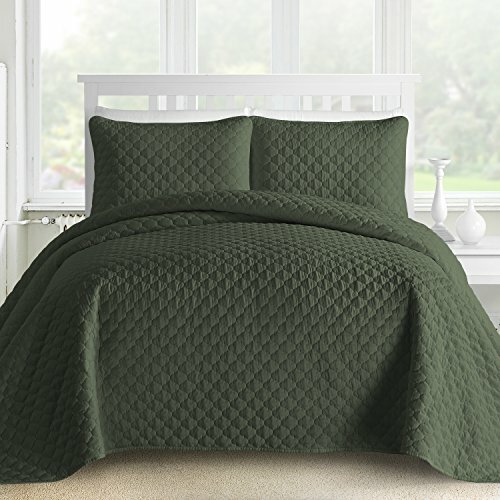 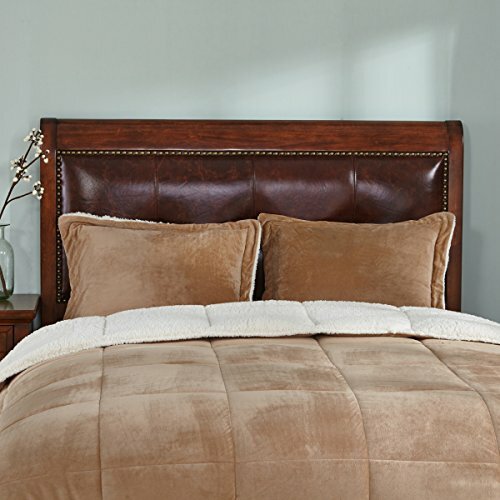 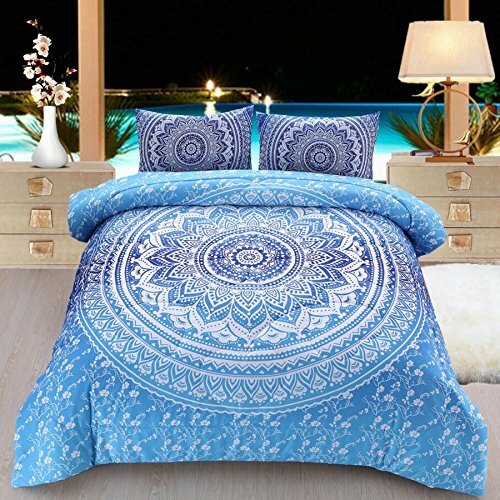 STYLISH BUILD QUALITY – Comforter is designed with box stitching to avoid any shifting; coordinated pillowcases complete the overall looking of the bedding; the warm-toned color of both the comforter and pillowcase evokes a sense of warmth and comfort. 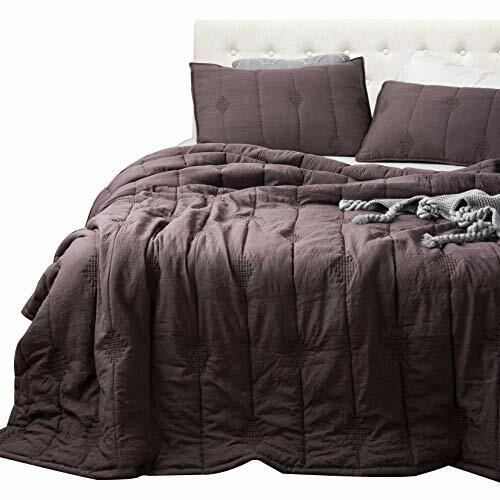 FABRIC – The comforter is made with a down alternative hypoallergenic synthetic filling, ideal for those with allergies.